Designation: Continuing Education, Inc. designates this live activity for a maximum of 12.5 AMA PRA Category 1 Credits™. Each physician should claim only the credit commensurate with the extent of their participation in the activity. Successful completion of this CME activity, which includes participation in the evaluation component, enables the participant to earn up to 12.5 (part II) MOC points in medical knowledge in the American Board of Internal Medicine's (ABIM) Maintenance of Certification (MOC) program. Participants will earn MOC points equivalent to the amount of CME credits claimed for the activity. It is the CME activity provider's responsibility to submit participant completion information to ACCME for the purpose of granting ABIM MOC credit. Paris, France - For most, Le Havre is the gateway for a day-visit to Paris. 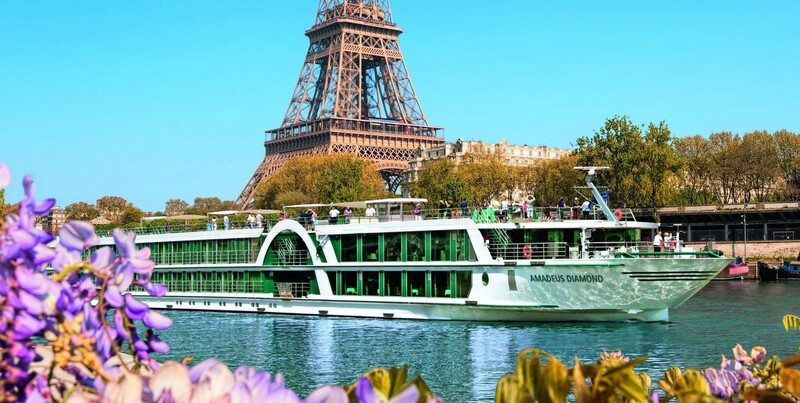 Survey the city of lights from the Eiffel Tower or from a cruise of the Seine. And there is the food (oh, the food). Wander through the beautiful architecture of St. Germain or the Latin Quarter and find a bistro to settle into with a bottle of wine and experience the culinary delights that only the French seem able to offer. And, then there are the absolutely stunning museums (Musee du Louvre, Musee de l'Orangerie, Musee d'Orsay, and the Musee d'Art Moderne). Or, if shopping is for you, Paris has it: from souvenirs and t-shirts to high fashion, small antiques and fine art, you can find something that'll catch your eye. But, pace yourself; you're not going to get all this done in a day: pick your battles, whet your appetite and plan a return trip. If the journey to Paris sounds like too much for you (about three and a half hours each way by auto, two and half by train), Le Havre itself is a beuatiful little French city where you can find great food, charming streets and beautiful architecture. It also has a nice not-too-big Museum of Modern Art with an excellent collection of France's many great expressionist painters. Conflans - At the confluence of the Oise and the Seine rivers, Conflans is a treasure trove of beauty. The immediate area is home to Napolean & Josephone Bonaparte's Château Malmaison and served as the inspirational landscape for many masters of Impressionist painting: Cezanne, Pissarro, Daubigny and, of course, Van Gogh - who painted more than a canvass a day here, during his 70 day stay at the end of his life. You can visit his attic room at Auberge Ravoux or pay homage at his burial site. At the Bonapart's Château, you can see what they intended to be "the most beautiful and curious garden in Europe." Rouen - Rouen, often called the "Ville musée" (Museum Town). If you enjoy museums, visit one of the many art, history, and antiquities museums scattered through the city. Visit the cathedral that inspired Claude Monet and the modern Church of Joan of Arc with its magnificent 16th-century stained-glass windows. See the "Gros Horloge," the astronomical clock, and the Parliament of Normandy. Also in Rouen is the &apost;Place du Vieux Marché&apost;, the site where Joan of Arc was burnt at the stake. This afternoon venture down the romantic "Abbey Trail" for a view of countless churches, castles, and abbeys. Le Havre, France - Although the harbor of Le Havre was greatly destroyed in World War II, it was rebuilt and continues to be an important port city in Normandy. Explore the Normandy coastline with a walk along Ètretat’s cliff-top paths for a view of steep chalk rocks with impressive needle-like formations, which have inspired many well-known artists. Nearby, is the city of Honfleur, where the Seine meets the Atlantic. This harbor town is regarded as a jewel on the Côte Fleurie and is a wonderful way to spend an afternoon. Les Andelys - Today, your vessel anchors in the little town of Les Andelys in the shadow of Chateau Gaillard, the one time home to Richard the Lionheart. Relax in town or venture farther afield to nearby Giverny, home to Impressionist Claude Monet, until his death in 1926. The beautiful surroundings and vivid flora, were inspiration for some of his most famous works. Return to the ship in Vernon for lunch. Round out your Normandy experience with a visit to the spectacular Palace of Versailles. Originally a small hunting lodge, the palace was extended to its current size by the "Sun King" Louis XIV and is now one of Europe's largest palaces. Onboard, the Captain's Gala Dinner is a wonderful finish to a fantastic day. Paris, France - In the early morning, it is once more "Bienvenue" to the French capital. Explore the sights of the Cathedral of Notre Dame, the Eiffel Tower, and the bustling Champs-Élysées. Another interesting area to explore is quirky artists'district of Montmartre and the Sacré-Coeur, located on the highest hill in northern Paris. On your last evening, enjoy an illuminated Paris from the ship or the streets, where you can fully see the "City of Lights" in all her glory. 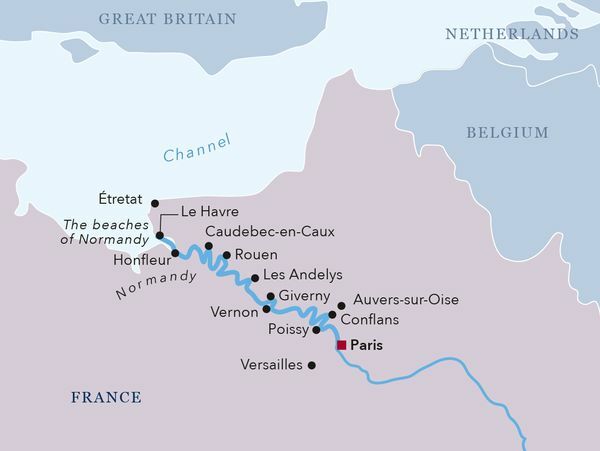 Caudebec -En-Caux - Visit some of the most important places in recent history the Normandy landing beaches. See Ponte du Hoc, Omaha Beach, the American military cemetery in Colleville, and the remains of the artificial harbor in Arromanches. If you prefer, explore the rural you can explore the rural charms of the Normandy region. Visit the historic towns of Caen and Bayeux, following the footsteps of William the Conqueror, the Duke of Normandy, and the subsequent King of England, discover the richness of Calvados and the famous cheese of Pont l'Évêque. Between Paris and Rouen is an endearing little town on the Seine. There are streets of half-timbered houses, countryside châteaux, and numerous sights that you may just recognise from somewhere else. That’s because they were painted by one of history’s greatest artists. Claude Monet lived just across the river and along with his friend Pierre Bonnard, is an inescapable presence in Vernon. He immortalised many of the town’s landmarks, and the museum one of Vernon’s “hôtels particuliers” contains two of his works. At Vernon you could use impressionism as a uniting theme for all your activities: Visiting galleries, taking river tours and attending workshops, all retracing Monet’s steps. Poissy is a town west of Paris, only 20 minutes by train from the capital but with many worthwhile sights of its own. Way back it was a royal city, and the birthplace of Kings Louis IX and Philippe III. The Colloquy of Poissy was a huge event that happened here in 1561, an unsuccessful meeting to settle differences between the Huguenots and the Catholics. Now the town is known for manufacturing, with factories for Peugeot-Citroën and Siemens sequestered in the “Technoparc”. There’s a still a distinct aristocratic presence around Poissy, with royal and noble properties a few minutes away in Chambourcy, Saint-Germain-en-Laye and Maisons-Laffitte. Floor-to- ceiling sliding glass doors with French balcony, mini-bar, bathrobe, ample closet space, choice of bed configuration (double or twin bed), flat-screen television, individual climate control, en-suite bathroom with bathtub/WC, bathrobe, hair dryer, direct dial telephone and in-room safe. 237 sq. ft.
Floor-to-ceiling sliding glass doors with French balcony, ample closet space, choice of bed configuration (double or twin bed), flat-screen television, individual climate control, en-suite bathroom with shower/WC, hair dryer, direct dial telephone and in-room safe. 161.5 sq.ft. 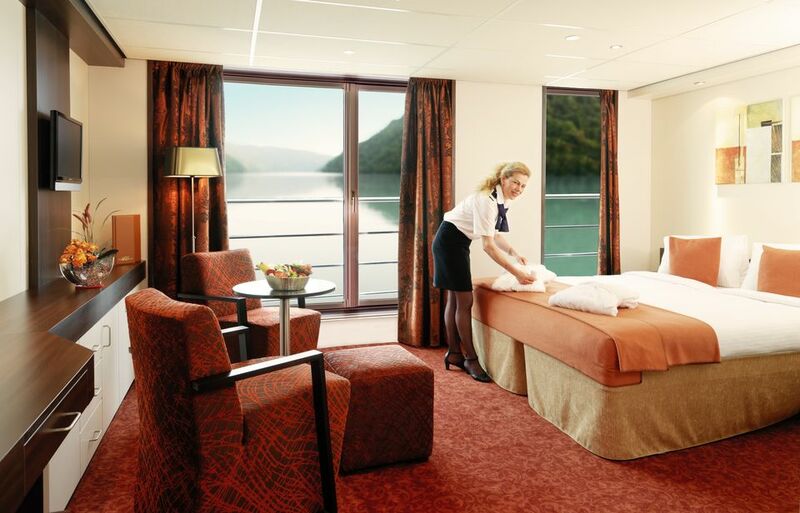 Panoramic windows (cannot be opened), ample closet space, choice of bed configuration (double or twin bed), flat-screen television, individual climate control, en-suite bathroom with shower/WC, hair dryer, direct dial telephone and in-room safe. 161.5 sq.ft. 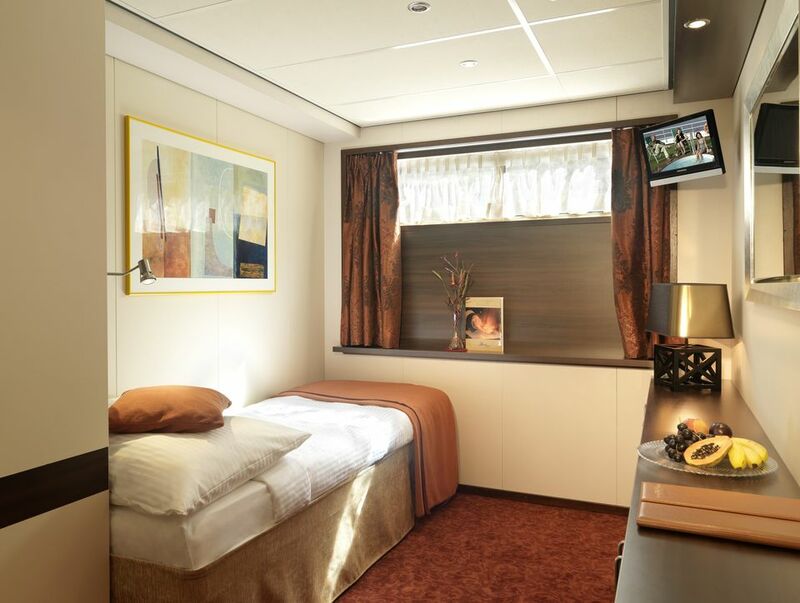 Panoramic windows (cannot be opened), ample closet space, single bed, flat-screen television, individual climate control, en-suite bathroom with shower/WC, hair dryer, direct dial telephone and in-room safe. 107.5 sq.ft. Four star hotel located in the heart of the Marais, one of the Paris’s trendiest hot spots, Hotel Les Jardins Du Marais is conveniently situated near some of the city’s finest art galleries, restaurants and designer boutiques. Steeped in charm and history, the boutique hotel is just minutes from Place des Vosges, Musée Picasso, the Carnavalet Museum, Place de la Bastille, Bercy, Opéra Bastille, Les Champs Elysées and Charles de Gaulle Airport.